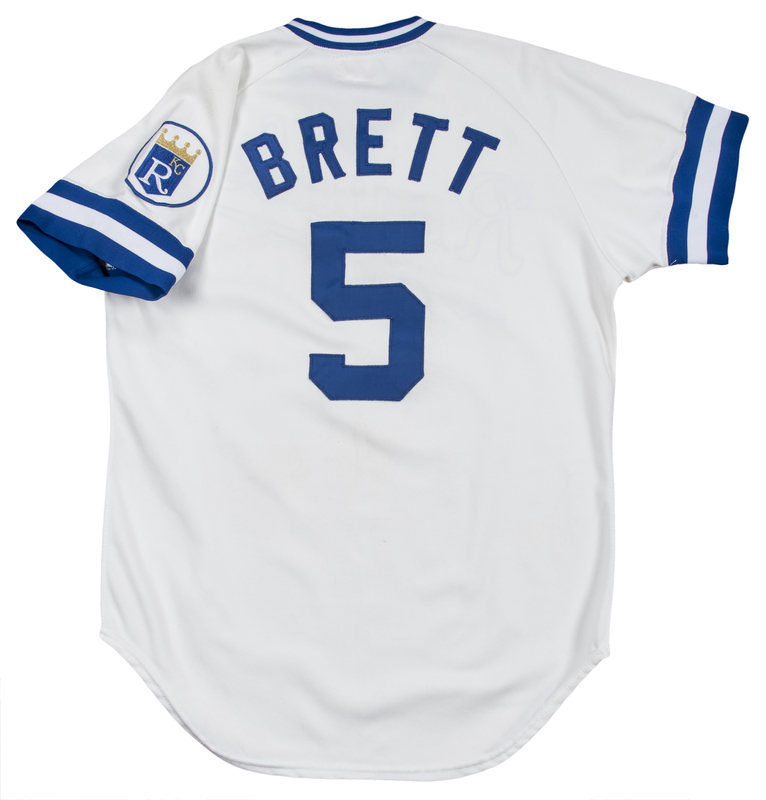 Elected to the Hall of Fame in 1999 on his first ballot with 98% of the vote, George Brett is one of the greatest hitting third baseman of all-time. To put his career in perspective, only three other men besides Brett have more than 3,000 career hits and 300 home runs: Hank Aaron, Stan Musial and Willie Mays - pretty good company. The 1982 season saw Brett post his customary solid numbers, including a .301 batting average, 21 home runs and 82 RBI in 144 games played. 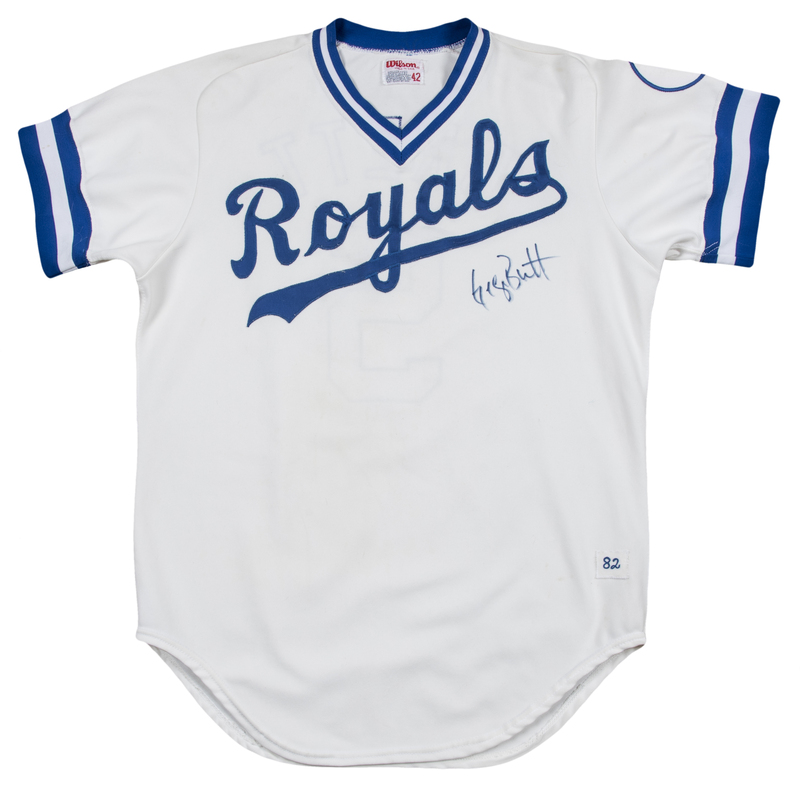 Brett wore this home white pullover Kansas City Royals jersey during the 1982 season. Manufactured by Wilson, this size 42 jersey features “Royals” sewn on across the chest in cursive blue tackle twill with a paraph. 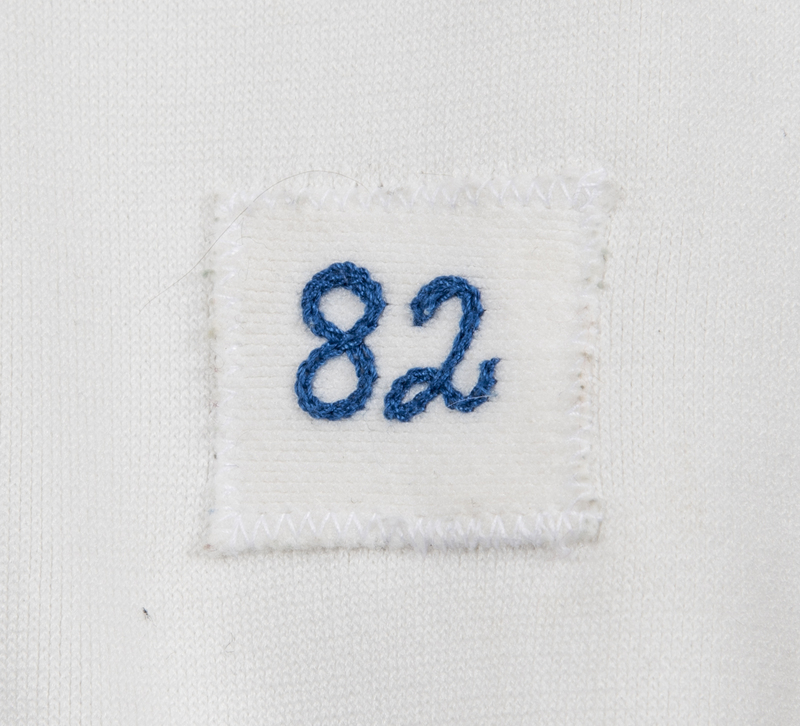 There are several indicators on this jersey that show this was made and worn by Brett during the 1982 season, including the “82” patch sewn on the bottom front left tail. 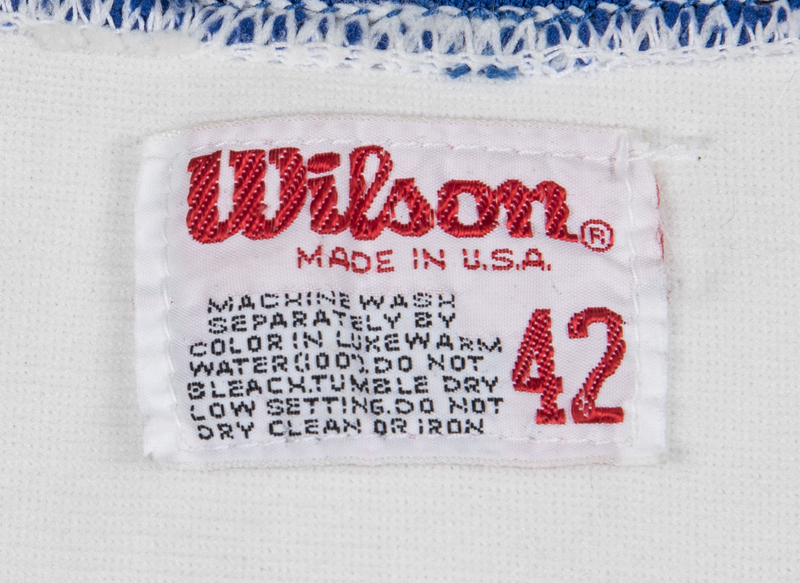 The Wilson size 42 tag is sewn on the inside back collar. 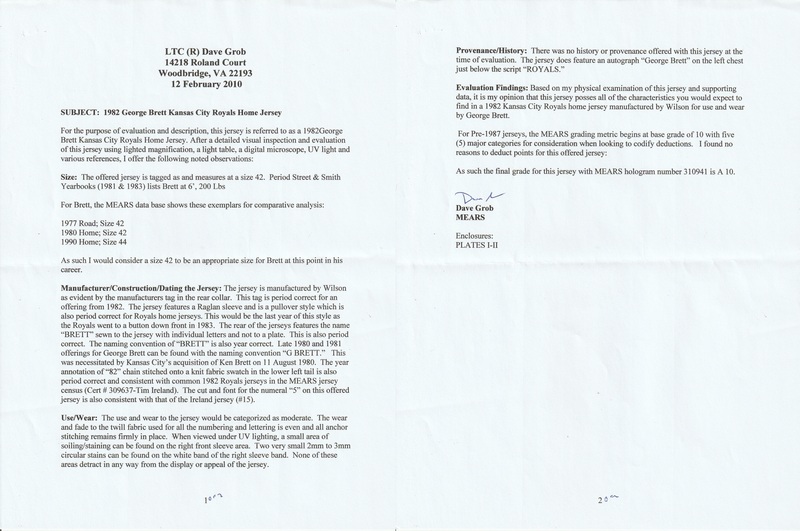 With Brett’s listed size of 6’, 200 pounds, this size would be well in range. This was the last season the Royals used pullover style jerseys as they switched to button-down fronts in 1983. 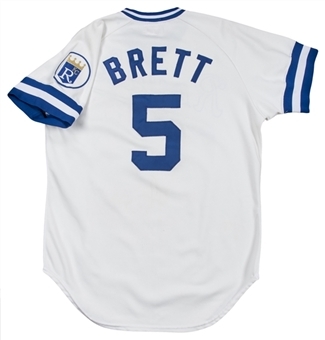 The back of the jersey has “BRETT” sewn on in blue tackle twill, which differs from the 1981 and 1982 jerseys where he had “G. 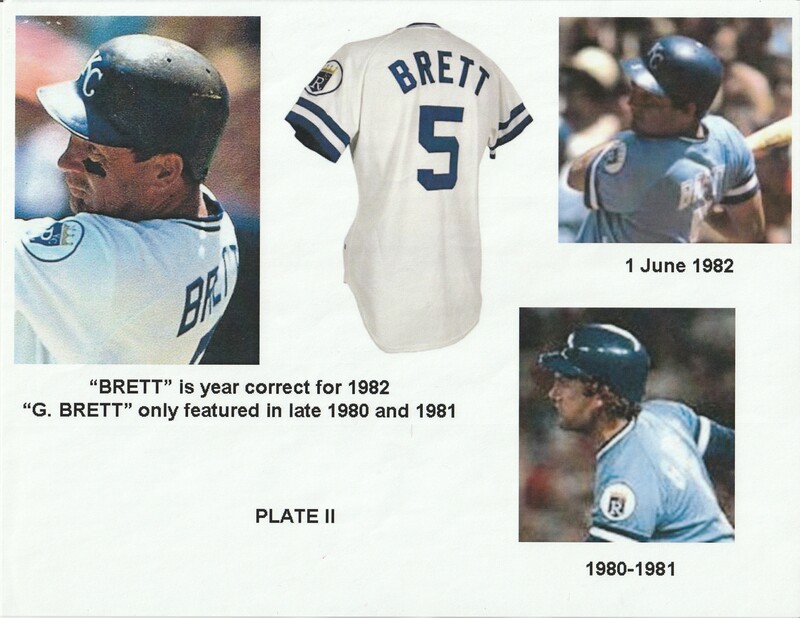 BRETT” on the back with his older brother Ken Brett on the roster. 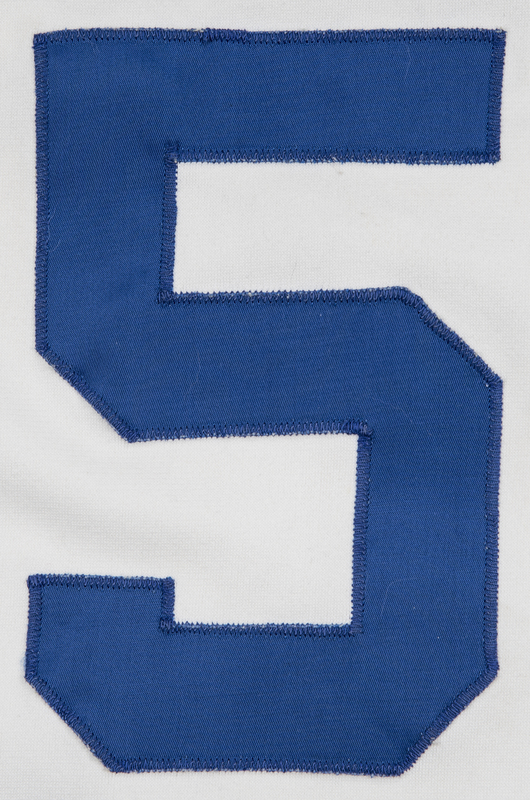 Brett’s number “5” is sewn on the back of this jersey in period-correct font blue tackle twill. 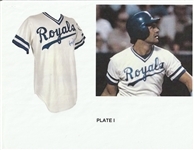 The V-neck collar has blue/white/blue striping patterns with Raglan sleeves that have blue/white/blue sleeve-ends. 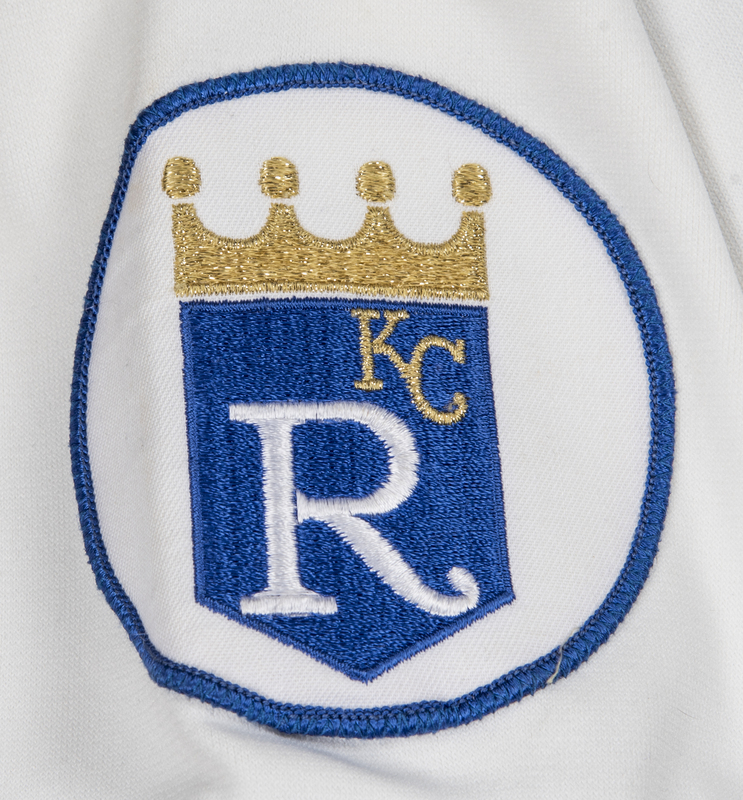 The left sleeve has the Kansas City Royals logo circle patch sewn on. 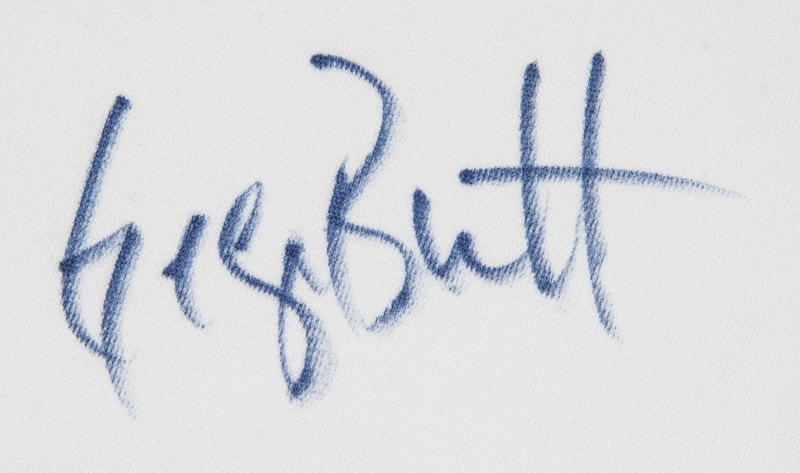 Brett has signed his name in bold blue marker below the “Royals” on the upper left chest portion of the jersey. This is a wonderful prime-of-his-career jersey from one of baseball’s best overall players that displays moderate game use with distinct visual appeal. 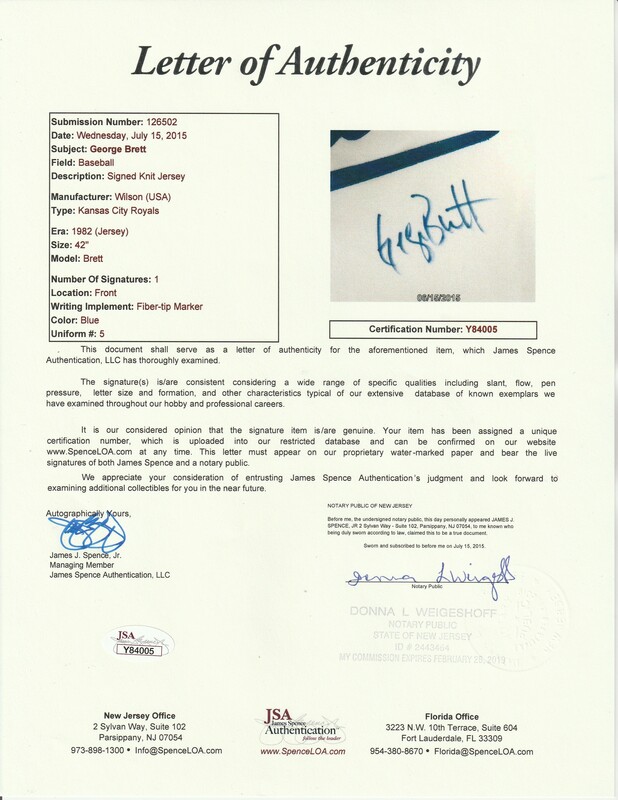 This jersey comes fully authenticated with a LOA from MEARS (310941) for the game use, having been graded a perfect A10. 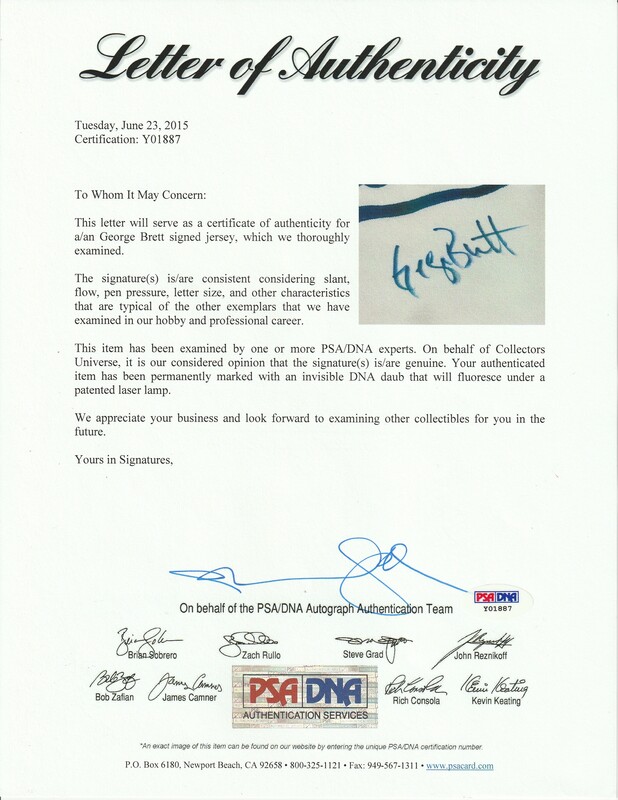 In addition, there are individual LOAs from PSA/DNA (Y01887) and JSA (Y84005) for the signature.